APPLY HERE FOR THE NMGMM 2019 SCREENWRITING COMPETITION! Founded in 2016, New Mexico Girls Make Movies is a free state-wide program that provides education and job training to New Mexico girls and young women ages 12 – 25. 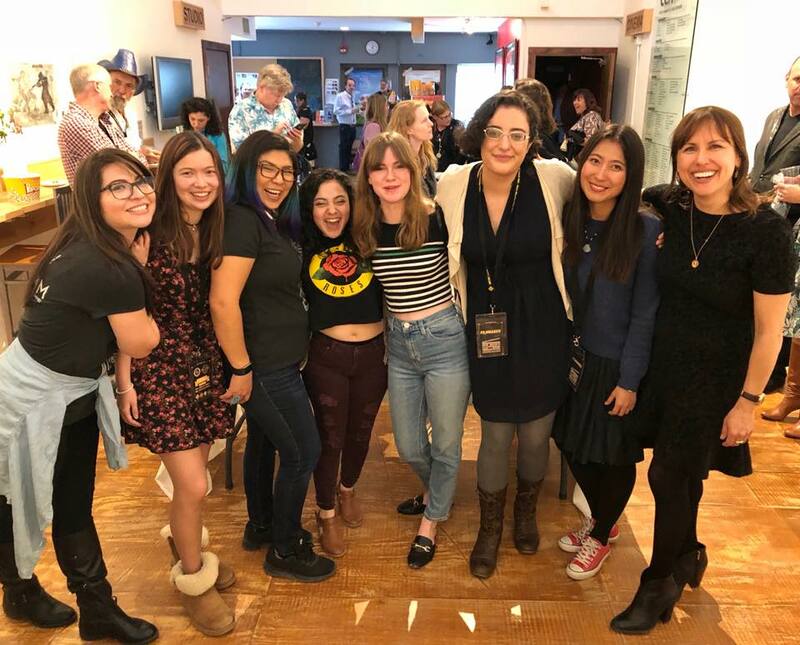 Through filmmaking programs, grants, workshops, set placement, and networking, we empower young women in New Mexico to create their own opportunities in the film and television industries and make their creative dreams a reality. We serve young women throughout the state and continue to grow our community, but we cannot achieve our goals alone. Find out how you can help. All photography by Barb Odell. Logos by Stacie Grobolshek. NMGMM Mentee Ruochen Bo on set with actors Marguerite Louise Scott and Sicily Ranieri. Find out more about NMGMM, our mission, our programs, community impact, and plans for the future. NMGMM Mentees and Mentors at the Santa Fe Film Festival premiere and Panel Discussion. Ready to take the next step? Become a star supporter or join our program!